Winter Barbecues Are Going To Become More Fun Here! An outdoor barbecue and grill with an open kitchen, Pitmaster lets you dine in the most gorgeous natural surroundings. We explore why you should sit down for a memorable experience at this beautiful property. Pitmaster is set on a sprawling five-acre farm, filled with lush greenery. 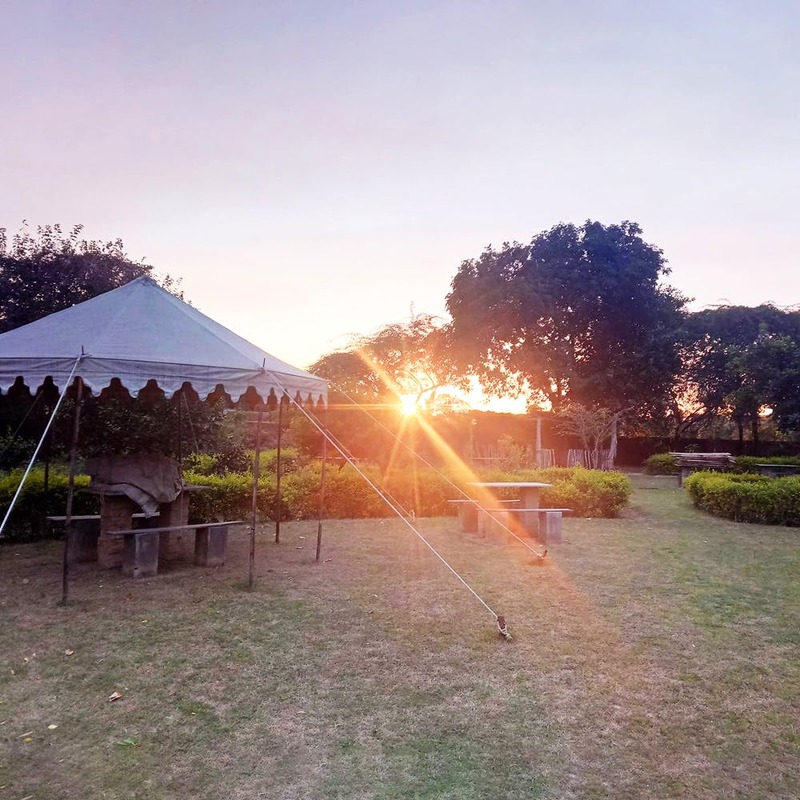 The property is lined with a variety of trees, which are home to multiple species of birds, making it a mini- sanctuary of sorts in the heart of Gurgaon. If you’re tired of dining at the usual spots in the city, take a detour to Pitmaster – we assure you it’s worth the drive. This place is perfect for a quiet meal with your loved ones, away from the hustle and bustle of the city. They even plan on growing their own organic food and integrating that into their menu. We can’t wait to enjoy succulent kebabs and roasts in this open-air luxury café. We can’t wait to spend winter brunches dining here. Imagine curling up cosily around the barbecue. What a delight it would be!